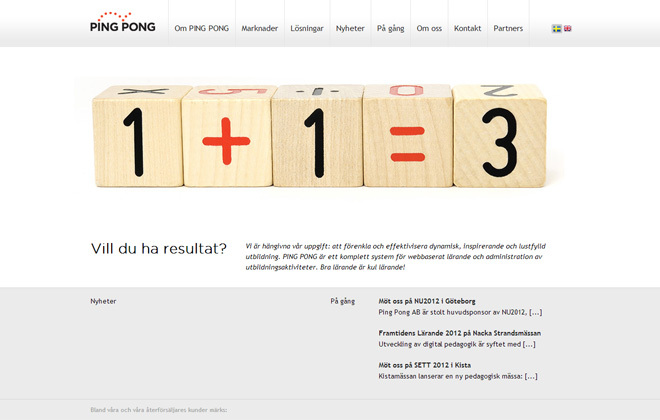 Ping Pong is a Learning Management System (LMS), developed in Sweden. They offer a wide range of tools to facilitate teaching, learning, communication, collaboration, assessment, testing, progress monitoring, follow-up and administration. In 2005 and 2006, for the two consecutive years, Ping Pong were awarded “Rising Star” status by Deloitte and the Swedish Private Equity & Venture Capital Association. Go to pingpong.se to see the website and to learn more about the company.